About | Craig, Terrill, Hale & Grantham, L.L.P. Craig, Terrill, Hale & Grantham represents a broad range of clients, from local companies and individuals to large national corporations, and is dedicated to providing its clients with the highest caliber of legal representation at fair and reasonable rates. To carry out the Firm’s tradition and reputation for providing legal work of superior quality, the Firm seeks to hire the finest law graduates and maintains a full staff of dedicated legal assistants, secretaries, and administrative personnel. 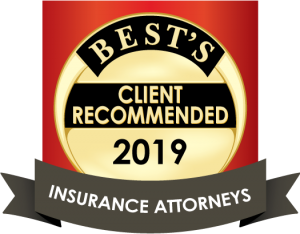 Our experienced and professional staff members appreciate that excellence in client service depends on the efforts of all members of the Firm. They strive to exceed client expectations because they understand that our reputation is earned every day. Craig, Terrill, Hale & Grantham encourages all attorneys to participate in a broad range of cultural, professional, and charitable endeavors. The Firm is especially proud of the achievements of many of its attorneys for their work in the legal profession and in the community. Three are members of the American Board of Trial Advocates; all are members of the State and local bar associations; several are members of the Texas Association of Defense Counsel, Defense Research Institute, and Texas Association of Bank Counsel. Bud Grossman is a director of the Texas Association of Defense Counsel. Bob Craig and Grady Terrill are fellows of the Litigation Counsel of America. Members of the Firm participate as speakers at seminars for other attorneys. The Texas Board of Legal Specialization has certified Gary Bellair in Civil Appellate Law, and Bud Grossman in Personal Injury Trial Law. The Firm and its members have been active in civic and charitable organizations. Bob Craig has served three terms on the Board of the Lubbock Independent School District and two terms as its President and is a former president of the Rotary Club of Lubbock and former member of the Texas Tech University Foundation. Bob Craig, Grady Terrill and Bud Grossman all are past presidents of Lubbock County Young Lawyers Association. Several members of the Firm serve on various boards and committees engaged in Bar Association activities, and community endeavors. AV® Peer Review Rated denotes a legal ability ranging from Very High to Preeminent and a Very High adherence to professional standards of conduct and ethics, reliability, diligence and other criteria relevant to the discharge of professional responsibility.